While everyone is looking toward the future of the automotive industry and the inevitable development of autonomous cars, Mazda is focused not only on the here and now, but more importantly, the driver. For any car enthusiast, the thought of having a computer take control of the wheel and drive you to your destination is not something that makes you feel good. As drivers, we believe that having the car in our control is not only the best way to transport ourselves, but it’s a freedom and a privileged to drive and own a car that we enjoy and love. For the time being at least, Mazda is marketing to the car enthusiast that drives for fun, not because it’s a chore. Mazda’s new tagline is, “Driving Matters”, replacing the old and very worn out “Zoom zoom”. By coming up with ads that create an emotion and desire to drive, consumers who love getting behind the wheel now have an automaker who has their best interest in mind. Starting with the new MX-5, Mazda wanted to recapture the youth and memories of former Miata drivers by making a commercial that’s basically a flashback to all the major milestones throughout the owner’s life. 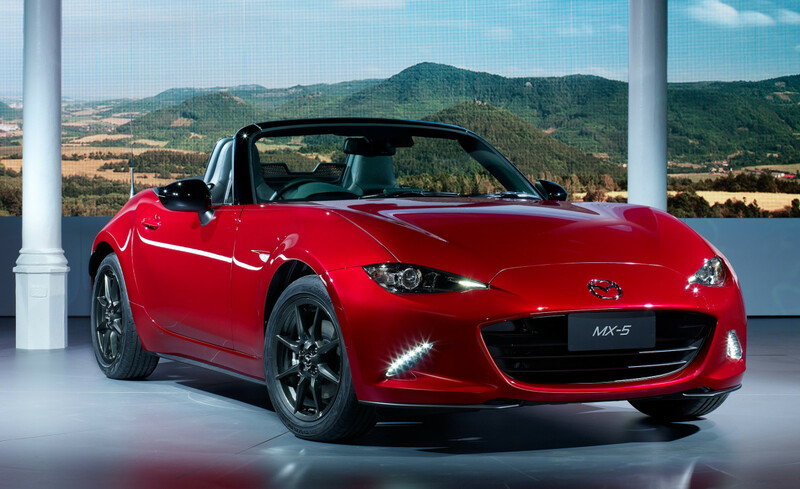 With the redesigned MX-5, they can relive their 20’s now that the kids are older or out of the house. Another ad from Mazda has a businessman who’s been travelling for work, spending far too much time on planes and not enough time with his car. Once he lands ands gets back to his Mazda 6, it seems as though everything is right with the world. This isn’t just about driving, but a pride in ownership of a car that you love. “Driving Matters” and unfortunately, not many other auto manufacturers are putting the driver first, and instead focus on the technology they put inside their interiors. When it comes to daily drivers, there’s only a few features that should be noted when advertising to consumers. Is it comfortable, does it have a decent amount of horsepower, and is it reliable? That’s it. Thankfully Mazda’s commercials have a simple concept, and that’s putting you, the driver first. Next Next post: Is Audi, BMW, and Mercedes Benz Styling Becoming Lazy?